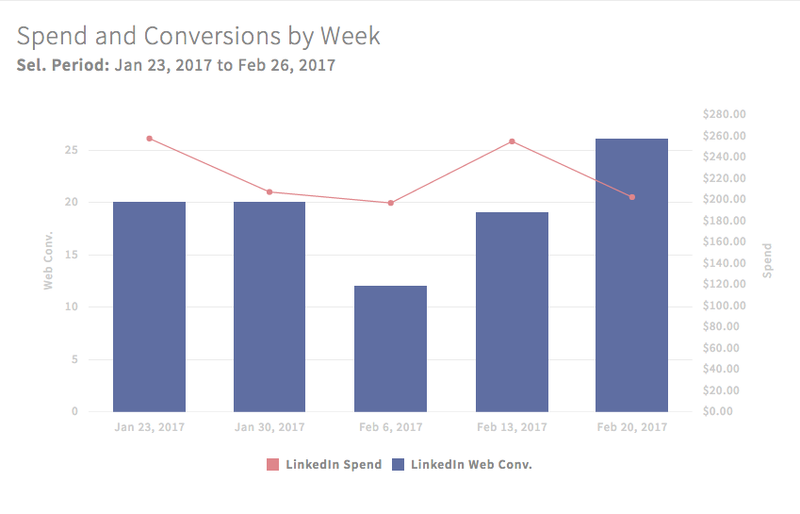 As a LinkedIn Certified Marketing Partner, we could not have been more excited when LinkedIn released the 10 stats below. We are strong believers in the power of marketing on LinkedIn (especially for a B2B platform like ours), and now we have the stats to prove it! Impressed by these stats? If so, perhaps your next question would be: How do I make sure I am getting the most out of this platform? Read on to learn about how AdStage can take your LinkedIn advertising even further. 1. 79% of B2B Marketers believe social media is an effective marketing channel. 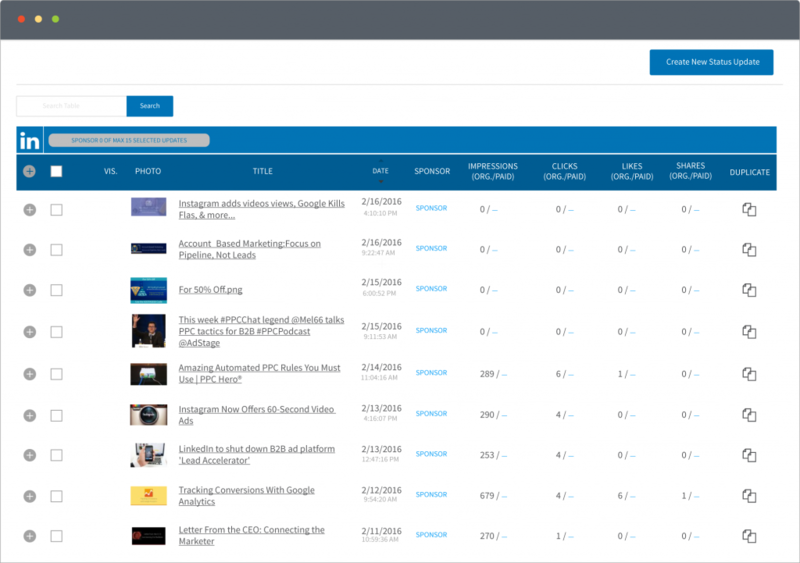 ...and you probably want to be able to compare your social media efforts across channels. AdStage has deep integrations with Facebook, Twitter, and LinkedIn (as well as Google and Bing), so you can see how you're doing ACROSS NETWORKS and IN ONE REPORT. 2. 80% of B2B leads come from LinkedIn and 43% of marketers say that they have sourced a customer from LinkedIn. 46% of social media traffic coming to your company site comes from LinkedIn. With AdStage, you can track these conversions across your search and social ads to see how you stack up to this stat! 3. 92% of B2B Marketers leverage LinkedIn over all other social platforms. If you're doing most of your marketing on LinkedIn, you probably have a lot of ads to create and update! Check out our Bulk Update Creation and Editing! 4. 79% of B2B Marketers view LinkedIn as an effective source for generating B2B leads. How do you measure effectiveness? CTR? Cost per click? Conversion rate? Cost per conversion? ROAS? No matter which metrics you prefer, get beautiful reports on the data you need AND have them automatically sent to yourself (or your clients) at your desired cadence. 5. 57% of all those who visit LinkedIn do so on a mobile device. Make sure your ad creative will resonate with mobile users and link to a mobile-friendly landing page. With our ad combination builder, you can drop in different images and text options and then choose from all the possible combinations. 6. 10 pieces of content are consumed before a purchasing decision is made. 94% of B2B Marketers use LinkedIn to distribute content and LinkedIn SlideShare reaches 70M unique visitors a month. With the AdStage Sponsored Content app, you can have the tools to build multivariate tests with your Sponsored Content, duplicate Sponsored Content across multiple campaigns, and even add unique tracking URLs. This way, you're making sure that those 10 decision-making pieces of content - whether they're white papers, SlideShares, or blog posts - are falling into the hands of the most qualified traffic possible! Ready to try using AdStage to enhance your marketing on LinkedIn? Try a 14-day, free trial (no credit card required).